A Movie That’s Just About Girls Being Friends? Finally! Between all the mainstream Bollywood masala films, there is this gem that's just made our day today. 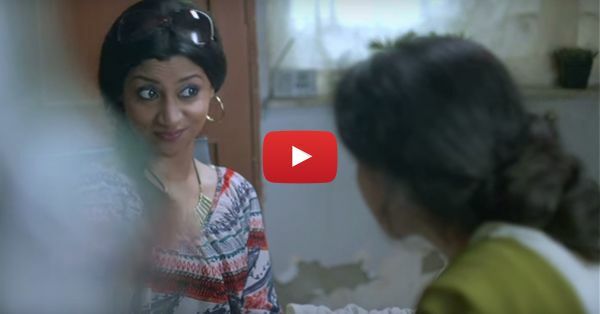 The trailer for Nayantara's necklace, a short film, featuring Konkana Sen and Tilotama Shome, is a must-watch! While Konkana is a favourite of ours already, we're loving the sweet innocence of Tilotama's character a little too much. That teasing, amazing banter between friends - it’s the kind of thing that melts our hearts! As soon as you finish watching this trailer, we know you'll be keeping a lookout for this short film to release. Yes, it really does look that promising! If you still don't believe us, have a look for yourself. PLUS: Subscribe to POPxo on YouTube for original videos + our favourite videos from around the web! MUST-READ: #MustWatch: Love, Life, Friends – Telling It Like It REALLY Is! MUST-READ: When Men Try Living Like Women: Man’s World Episode 3 Is HERE!